Ramadan ended a little less than two weeks ago. To mark the end of it, Malaysia celebrated Hari Raya. Hari Raya is basically a holiday where you go visit everyone you know and eat a lot of food. Sounds delightful, right? On the last day of Ramadan, my roommate and I headed over to her student’s house to learn how to prepare a few traditional dishes. The most common meal during Hari Raya is lomong and rendang. Lomong is rice cooked in bamboo shoots over the fire, and rendang is a curry. 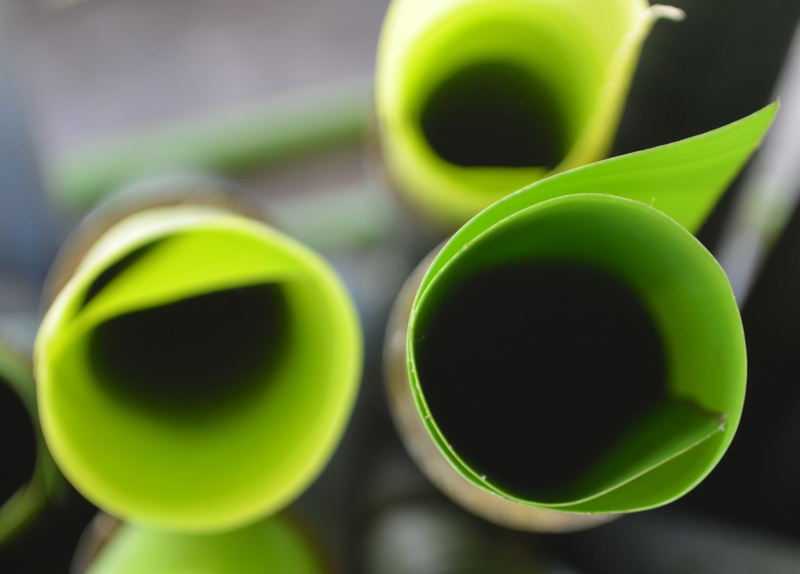 My job was to clean banana leaves and roll them up in the bamboo shoots (pictured above). After that was done, we spooned rice into the bamboo shoots, poured coconut milk into it and let it cook over the fire for about 8 hours. Not quite as easy as Uncle Ben’s 2 minute rice, but way more fun and delicious. It was also super nice just hanging out in the community, but without feeling too much like a guest. I love it when I go over to someone’s house, and they give me something to do. After putting the lomong over the fire, we moved on to having the last iftaar (the meal when you break the fast) of the year. 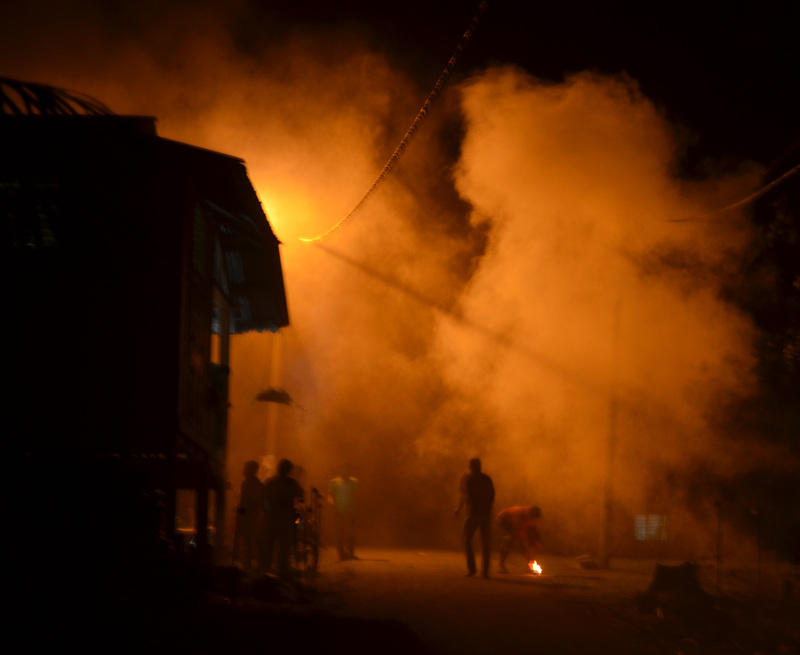 This was soon followed by a Justin Bieber guitar sing-a-long, fireworks (pictured above), cannons booming, a late night motorbike ride around the kampung (village), a power outage, and then watching a zombie movie when the electricity came back on. Basically, it was one of the best nights I’ve spent in Malaysia. The next day (Hari Raya) started off with my roommate’s student dressing us up is her older sister’s more fashionable baju kurungs, complete with headscarves. Once we were all made up, we headed out to visit a few teachers and eat some delicious lomong with rendang. At the end of it, I was a little tired (over 24 hours without any alone time was hard for an introvert like me), but I was so happy to be in Malaysia for the holiday. It let me feel more connected to the community, and I hope I’ll have a few more moments like that before I leave Malaysia.